A study released Wednesday by the Pew Hispanic Center found that the yearly flow of illegal immigrants into the United States dropped nearly two-thirds from 2007 to 2009 from the first five years of last decade. This sharp decline has contributed to an overall reduction of 8% in the number of unauthorized immigrants currently living in the U.S. — to 11.1 million in March 2009 from a peak of 12 million in March 2007, according to the estimates. The decrease represents the first significant reversal in the growth of this population over the past two decades. The smaller illegal immigrant population was notable along the Southeast coast and the mountain West, the new estimates reveal. Even though illegal immigration is reversing and declining, the population was still 32 percent larger in 2009 than in 2000, when it numbered 8.4 million, according to the study. The number of illegal immigrants in the U.S. has tripled since 1990, when it was just 3.5 million. The unemployment rate for unauthorized immigrants of all ages in March 2009 was higher than that of U.S.-born workers or legal immigrants — 10.4%, 9.2% and 9.1%, respectively. 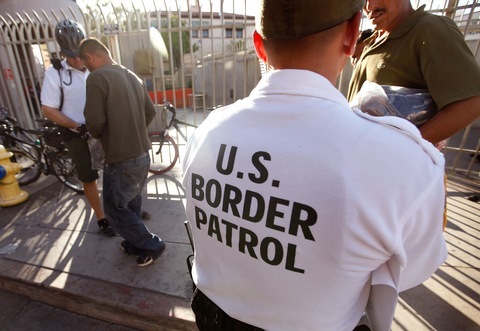 The authors noted that the period covered by the study was one with major shifts in immigration enforcement, enforcement strategies and the health of the U.S. economy.